Hello and welcome to our website, here you can get an insight into who we are and find out our story! 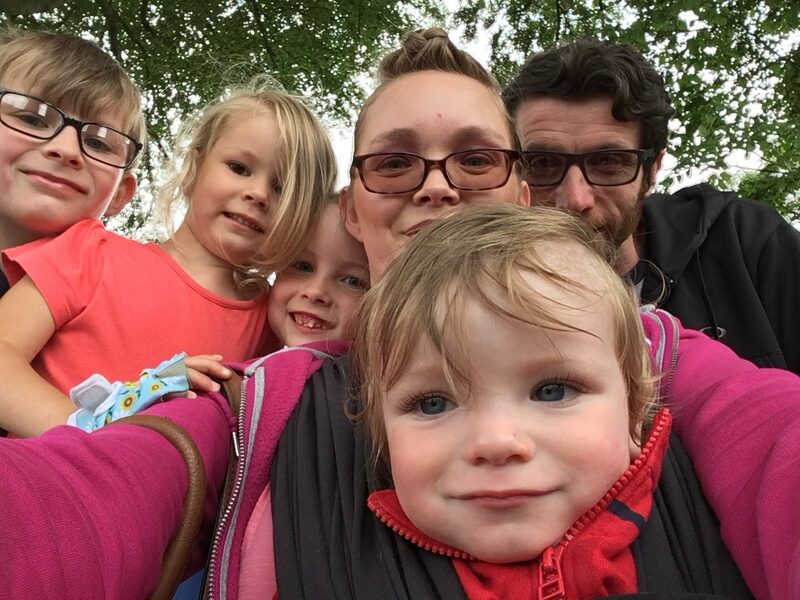 We are a family run business consisting of myself Natalie, husband Andrew and our four beautiful children, our shining stars! We are based in Halifax West Yorkshire and can deal with orders for jewellery items nationwide, if you are international we can still assist there will just be special postage charges. The Raised Impressions and 3D castings we can do within a radius of West Yorkshire in the comfort of your home or alternatively you can visit ourselves and we also do fairs where we have the Raised Impression material with us. We set up our business after being in corporate for many years and requiring the need to work around our children which my latest job wouldn’t allow even though they promised to accommodate . I always had a passion for being creative and with having 4 of our own children we know how important it is to capture these special memories and milestones of children. Andrew and I researched different ideas and decided that making personalised fine silver jewellery, 3D castings and Raised Impressions would be something we would train in so we could bring these products to yourselves. We took the plunge at the end of October 2016 to start the purchasing of our tools and training in all aspects of what would be our new job. Andrew at the time was a stay at home Daddy to our 4 children now 10, 7, 4 & 22months whom we home educate but I was in a job that wouldn’t accommodate and really wasn’t suitable for a Mum of 4 as it was on a four shift rotation and some weeks I hardly saw my children, this would have been even worse if my children had have been in school. As time progressed and we were doing lots of training whilst working it around my full time job (even the children were helping) we knew something had to give so we could put all our time and energy into the business. So in December I decided that we would commit everything to our business and our children and handed my notice in at work. It’s been very daunting but I wouldn’t change anything for the world, our story is now evolving to form our lovely keepsake business. I’ve been on training courses with the Keepsake Company and we have thrown ourselves into all aspects of getting our business known. We set our website up and Facebook page, we’ve gradually gotten to grips with Instagram, booked fairs to get ourselves known in the community. We have lots of samples of our work so people can see the quality of what we do, we feel that fairs help to enhance this as people can see the products with their own eyes instead of just on the Internet. We regularly update our fair page so please keep an eye on it and hopefully we may get to meet some of you in person. Here at Four Shining Stars we work with fine silver to make personalised jewellery of fingerprints, hand and or footprints, artwork and pet prints. If you require a chain or bracelet to go with your special charm we have these available to purchase separately. We also offer 3D castings in a range of finishes and variations of Raised Impressions. If you require a personalised products that isn’t on our site please contact us and we would be happy to discuss this with you. We want to encapsulate your memories so you can cherish them always. In order to do the fingerprints, we provide a special kit to take an impression of your loved ones print when we receive this back we then lovingly create your charm. We will return your impression when we send you your keepsake as we feel these are just as precious for you to keep. With regards to the hand/footprints or paw prints we have special inkless wipe kits which we can send for you to capture that special print, when we receive this back we then work our magic to transform into a lovely jewellery item. If you already have prints you wish to use these can be emailed to us. Artwork jewellery can be scanned across to us so we can create your desired item. 3D castings and Raised Impressions can be done by appointment, you may also be able to have these done at events we attend. Standard Shipping is FREE in the UK, you can upgrade to priority services if you wish. Thanks for reading our story we hope you enjoy browsing our site and maybe you will find a special keepsake for yourself or a loved one.